After extensive speculation that JetAmerica was on the ropes before it had even taken off, the AP reports JetAmerica has thrown in the towel. NEWARK, N.J. — JetAmerica, a fledgling discount airline that garnered attention with $9 promotional fares, has folded without ever getting off the ground. The Clearwater, Fla.-based company says it’s suspending sales to all markets and will immediately begin to process refunds to customers. Service was originally supposed to begin July 13 to underserved markets in Toledo, Ohio; South Bend, Ind. ; Melbourne, Fla.; and Lansing, Mich. Flights were also scheduled to larger airports in Minneapolis and Newark, N.J.
Update: Not dead yet? JetAmerica CEO blames excessive expense of slots at Newark, says they will refocus on other markets. Clearwater, Florida – July 17 – JetAmerica, the public charter air carrier operator, announced today that it is suspending sales to all markets and that it would immediately begin to notify affected customers and process refunds to all customers who have booked seats on its flights. “We are reluctantly suspending our public charter operations effective today,” said John Weikle, CEO, who has been with the company since April. “Finalizing the slots required to support our charter program at Newark has taken longer than expected and we have decided to suspend our flights in order to refocus on different markets. We still strongly believe that there is an unmet need for affordable air service to secondary markets and we look forward to offering this option again in the near future,” concluded Weikle. “We will be refunding more $900,000 in ticket reservations for flights from August 14 through the end of September,” said Bryan Glazer of World Satellite Television News and Media Relations, which represents JetAmerica. 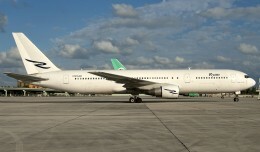 Glazer’s firm, which previously represented JetBlue and Virgin Atlantic Airways, was retained by JetAmerica in May. The firm’s national media blitz generated headlines across America that helped sell more than 20,000 tickets during the first JetAmerica’s online e-commerce operations. “It is unfortunate that so many consumers’ will be affected. This was unavoidable. I worked closely with the executives of JetAmerica for several months and know they did their very best to overcome the challenges that the slot situation posed. But in the end, the business plan never called for paying for more than a half million dollars for slots,” said Glazer. All customers will receive automatic refunds within 7-14 business days. Any customer not receiving a full refund in 14 days should call 727-451-3970. 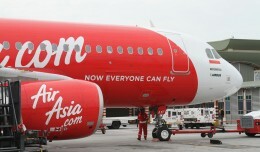 Asia's largest low-cost carrier has scrapped plans for a Singapore joint venture due to high operating costs and lack of market potential. Illinois-based Ryan International Airlines on Friday grounded its fleet and laid off all employees. 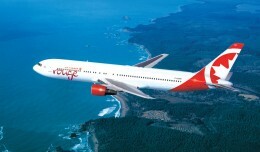 Set to launch July 1st, Air Canada rouge will combine aspects of an ultra-low-cost carrier with some bits of legacy airline thrown in. 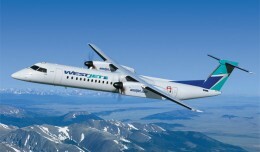 Canada's WestJet on Thursday revealed the name for its planned regional carrier: WestJet Encore. Indonesia's Lion Air has committed to buying an undisclosed number of Boeing 787 Dreamliners, the airframer announced on Friday. 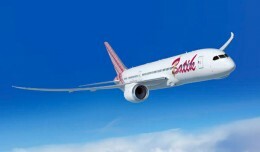 The new planes will be used by Batik Air, a new full-service carrier to be launched by Lion in 2013.